There’s no doubt about it: video content is king. Improved search rankings and higher conversion rates for your website, plus reaching more customers via a range of media platforms, are direct results of excellent video content. Much of the web’s video content is unplanned, unscripted and “of the moment”, and a lot of it also likely to disappear down social-media timelines before you can blink. There are times when a DIY video will work perfectly well for your brand, but there are also times when it could potentially damage your image. So let’s look at the pros and cons of making a DIY corporate video versus using a production company. Fun – Let’s be honest, making videos is fun! Time – Making a reasonable DIY corporate video can be time consuming, time that might be better spent doing what you do best. Will your business suffer if you are busy trying to make videos? Difficulty – Creating corporate videos is not easy; do you have the time to master filming and editing skills? Vision – It might take longer to explain your vision to a professional than it would to just do it yourself, but the producer should be able to see your vision and improve upon it. There are many occasions when a DIY video is appropriate for the audience, however big your brand. Regular vlogs, webcasts and quick business snapshots (perhaps a new machine is being delivered or you’re arriving at an industry event) can be produced by anyone with basic recording equipment. 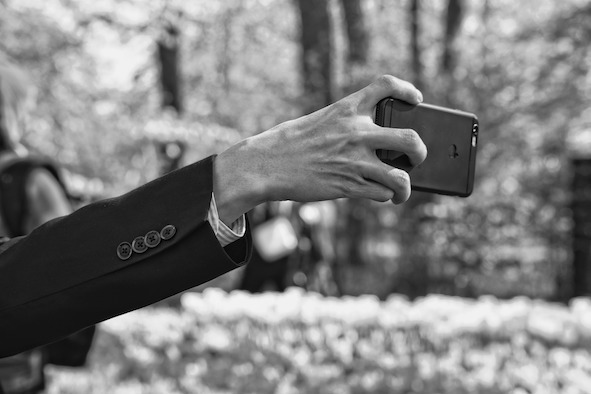 Perhaps you’re thinking of filming snippets of visitor feedback at a trade show or testimonials from customers on your smartphone (find out how to turn your customers into your best sales people). While these DIY videos are valuable assets to your brand, they don’t require advanced technical skills, editing abilities or optimum picture quality. Whether you’re live video streaming on Facebook or Instagram, or producing a short video for your company blog, a DIY video is a brilliant opportunity to showcase your brand. There are times when a professional corporate video is by far the best option. A professionally made video is a business asset. It might be the first thing a visitor to your website will see, a video that thousands will watch on a big screen at a trade show, or perhaps the key to unlocking your next successful sales presentation. Rightly or wrongly, the quality of a video can reflect on a brand. You wouldn’t hand out battered, creased brochures to prospective clients, so treat your video content with the same care, attention and professionalism. Professional corporate videos s can improve search rankings and boost customer conversion rates; they can be used across media platforms flexibly and won’t date rapidly. A professional video is a corporate asset. If you decide to take the DIY route on your next video project, our forthcoming blog post will be crammed with tips about shooting videos with a smartphone.